Help reduce recidivism with Saving Our Society Pretrial Intervention ("SOS"), an independently operated organization offering pretrial case management services in Atlanta, Georgia. Our major objective is to help individuals understand the root cause of the behaviors that caused them to enter the criminal justice system. It is the intent of SOS to establish ongoing support systems for program participants that they will be able to utilize indefinitely. SOS offers unique, comprehensive approaches to offender case management for the criminal justice system. Our pretrial program has connections to social services, human resources, and child and family welfare services, so we can refer participants to the agencies that can help them through their trial and rehabilitation. It is one of our jobs to monitor, track, and report participants' progress to the district attorney and court system on a regular basis. In addition, our program provides classes and job training networks for participants. 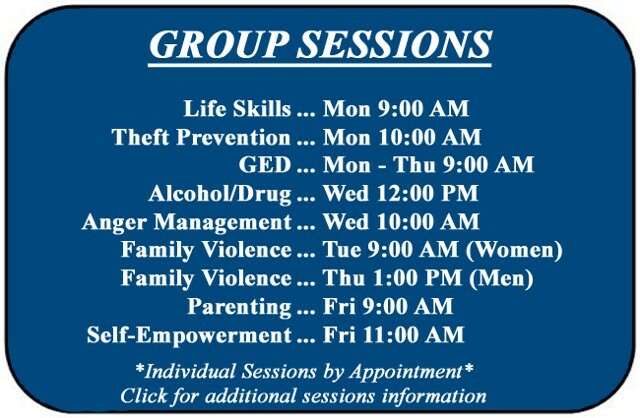 Contact us to learn more about our criminal justice intervention programs in Atlanta, Georgia.